If you're looking for the perfect wall oven, this one is just right. With industry-leading 4.3 cu. 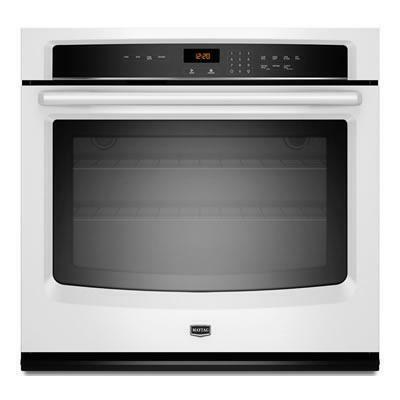 ft. capacity and a 10-year limited parts warranty on the elements, this built-in 27" oven is made to last. The innovative new FIT system ensures your beautiful new oven will install in your existing opening without any cutting or extra wood trim. A panoramic view window offers a large and stylishly simple way to monitor food, while heavy-duty racks make it easy to hold large items. Additional Information Precision Cooking™ system with Precise Preheat, Precise Bake and Precise Broil; Self-Cleaning Oven with Adjustable Cleaning Levels; Panoramic View Oven Window; Hidden Bake Element; 2 Oven Racks; Keep Warm™ Setting. Additional Dimensions Cutout Height (in) : 28; Cutout Depth Min (in) : 24. Warranty 1 year limited parts and labour; 10-year Limited Parts Warranty on Oven Elements.